Rock & Brews, the rock-inspired restaurant brand co-founded by KISS frontmen Gene Simmons and Paul Stanley, will open its second Central Florida location on April 24, 2017. It will be located in the Lee Vista Promenade at 6897 South Semoran Blvd, in Orlando, near OIA. The 6500-sq-ft restaurant will offer the brand’s signature quality American comfort food with a California twist and two full bars stocked with the largest selection of international and craft beers in the area. KISS front men Paul Stanley and Gene Simmons have announced plans to expand their family-friendly Rock & Brews restaurant brand into Florida with a location in Oviedo, set to open in December 2014. The Rock & Brews Oviedo restaurant will be located at 7131 Red Bug Lake Rd. 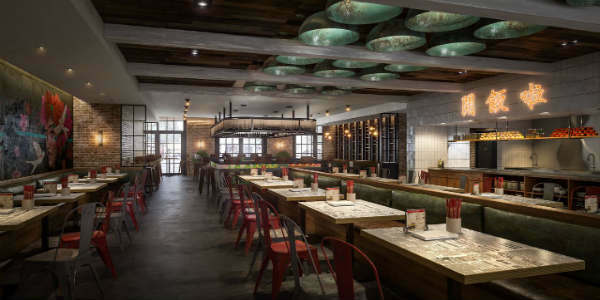 It will feature the brand’s American comfort food menu (burgers, salads, sandwiches, pizzas, etc), and a full bar that includes one of the area’s largest selections of international and local craft beers and premium wines. The almost 7,500-sq-ft venue will have a family-friendly, rock-inspired environment including multiple TV screens and a state-of-the-art sound system broadcasting some of the greatest concert moments in rock history. Decor will include murals, canvas art of iconic rock images, and something they call their signature Great Wall of Rock.